White blood cell movement. Computer-enhanced confocal light micrograph of white blood cells (red) moving through the intact walls of a blood vessel, a process known as diapedesis. 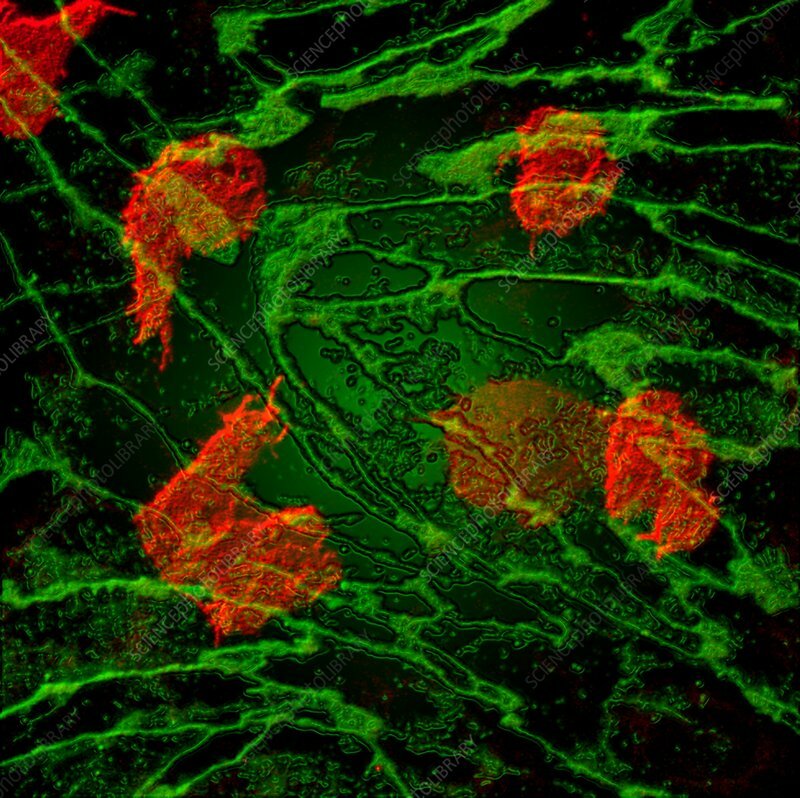 The walls of the cells in the blood vessel wall are green. This is characteristic of the inflammatory response, which occurs at the site of an injury. The cells leave the blood for the surrounding tissues so that they can destroy any invading organisms that may be present. These are T- lymphocyte white blood cells, which help to direct the immune response to foreign organisms. Magnification unknown.